Enzo Champagne is founder of CHAMPAGNE! sparkling couture and is from Paris, France. He rezzed into Second Life on March 15, 2008 and sees this virtual world as an amazing platform full of creativity and cultures. Enzo was introduced to this virtual world by one of his real world customers. They had established a location within Second Life to introduce their famous brand. Curious; Enzo created an account, logged in, was fascinated, creating a brand of his own and never left. SLE Buzz: What are three special things you wished everyone in SL knew about you and CHAMPAGNE!sparkling couture? SLE Buzz:Can you tell SLE what inspired your involvement in the SL community? Enzo: I didn’t have the chance to create my brand in rl so sl gave me the opportunity to express myself there. Second Life gives me Freedom of creativity! SLE Buzz: How would you describe your personal style in three words? SLE Buzz: What have you learned about yourself in SL? Enzo: About myself? Well, A lot of patience and concentration. Even if I like fairytales I have to be careful about people to trust or not. That’s sad. The problem is Fake people, hackers, copybotters, and griefers. These are people who like to play with feelings or make drama all the time to exist. They don’t care about or have respect for the SL community. SLE Buzz: Where do you like to shop? SLE Buzz: What are your favorite places to visit in SL for entertainment? SLE Buzz: What is your most memorable/funny moment? SLE Buzz: What are your thoughts on the SL culture? What would you change to improve the quality of your experience? Enzo: SL Culture… There are a lot of art events that I like to go to like the ones that Owl Braveheart organizes often. Also, there are Many magazines now. The community is very rich with media. It is good to see all what people can do in SL and photography creations too. 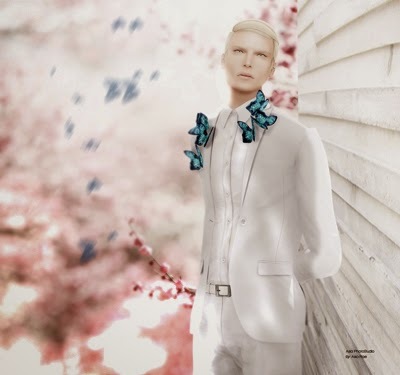 Ferosh magazine is amazing , Fashion teller is always exciting, L’homme Magazine is so great and BOSl magazine for sure is still a great reference for the SL community . There are a lot of events happening at the Rose theatre and fashions shows are hosted by so many agencies like Penumbra or the Men fashion week. I love and run to Gacha or limitation sales like the Men’s department, Kustom 9 or Collabor! Besides fashion, there are very cool radio stations such as SL live Radio by Thorn Andel. When I tune in it makes me shaking my pixels while I work. So yes with years a lot of culture were added by the people of Second Life and I hope it will continue to grow! However, There are a lot of technical glitches, crashing with viewers, limitations for meshes importations, number of prims linked, lag , limitations of exchanges and connection to marketplace which fails. That’s really the hell sometimes when you want to work. 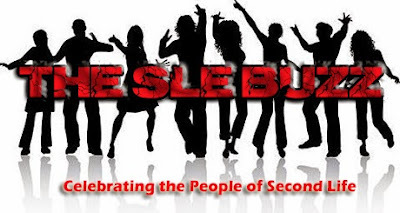 SLE Buzz: Is there anything else you would like to share with our readers about you? Enzo: Thanks for all the support I still have during these years. I hope to still make you happy.